What a nice surprise to fire up the computer, unlock the six padlocks to Beggars All, stroll down the dusty corridor littered with footnotes, tedium, and Jazz CD's, and find a new entry linking to Matthew's article. Each point is interesting, and many of the points do a fine job in revealing the double standards of Rome's defenders. There certainly are worldview and presuppositional issues going on. My only criticism would be that the voice of David King always haunts me: it's not the "Catholic" church, it's Rome. They do not own the word "Catholic." Matthew, I think you are right on that "virtually no one converts for purely intellectual reasons." I think this is in regard to all religion / spirituality issues. For instance, when the Reformed meatball hit me, sure there were intellectual reasons, but there were a lot of other things going on as well. It's often like, one's emotions are looking for reasons, and then one converts to... whatever... and then they prove their new worldview by intellectual argument. Manipulative evangelists of whatever persuasion know how to tap the pain / hurt / loneliness, and then offer a solution... I suspect some of Rome's successful apologists know these tricks as well. By and large, the Reformed worldview I've been exposed to doesn't do this. Excellent piece and excellent additional comments by James Swan. I hope Matthew sees this. Matthew captured / touched on some issues that are sometimes missing in some Reformed communities and local churches or groups of churches.
. . . it's not the "Catholic" church, it's Rome. They do not own the word "Catholic." I love the word "Catholic," and I love applying it to the universal church. Since Rome has through her dogmatic statements anathematized the Gospel, I will only reluctantly use the phrase "Roman Catholic" because I know people understand it to mean the Roman church. I always appreciate your clear thinking and comments! "Broadly Protestant notions of justification are clearly taught by the Bible." Perhaps this is not formulated to your liking... I most certainly would state it a bit differently (I would state it more forcefully that the Gospel Rome adheres to, as mentioned in her dogmatic statements, particularly via Trent, is not salvific). But in essence, the statement is saying that Rome is wrong in regard to the Gospel. Hi James, I would say that the Catholic Church does indeed "own" the word "catholic." If you were to ask someone on the street, "Where is the nearest Catholic church?" They won't be pointing you to the nearest Lutheran or Presbyterian, etc. church, now will they? We "own" it because it was applied to our church LONG before there was a Protestant revolt against the Catholic Church. It is part of the Four Marks of the Catholic Church, and a mark which no Protestant group can honestly lay claim to, and those Four Marks come from the credal confession of "one, holy, catholic and apostolic" - and again, no non-Catholic group can honestly say they have all Four Marks. I know, you'll make arguments that not even the Catholic Church can claim all four - but those arguments are rather weak. John Q.I don't know if I would go so far as to say it was "excellent," but it is quite interesting and candid. I actually appreciate some of Schultz' points. KenDitto on my comments about "catholic" I made to James. I will add, I am not offended by "Roman Catholic," it is terminology we use too. Now to say "Roman Church" - that's a bit of a misnomer, as the "Roman Church" essentially ceased to exist in 325ad when the Roman Empire embraced the Catholic Church. KevinI don't think Schultz believes the Catholic Church teaches a false gospel. Schultz' biggest objection lies in his misunderstanding of how we treat the Blessed Virgin Mary. Matthew SchultzMy full response to your article can be found here: http://quilocutus.blogspot.com/2018/06/why-stay-protestant.html As I said, I do appreciate some of your points and believe we could/should discuss this further. "Schultz' biggest objection lies in his misunderstanding of how we treat the Blessed Virgin Mary." Interesting. What have I said that would indicate this is my most pressing objection? >> treat the Blessed Virgin Mary." sw: I find that interesting too - since I do not see it now in re-reading your article! :-) Where I did see it was actually in one of the responses to your article on your site. I blended my response to Mr. McCloud with you when I said that. Thanks for the fact-check. I still feel we have much more to discuss here. I am concerned that any conversation between us will require too many of these sorts of clarifications. Because of ONE point? I answered you, directly, section by section in my response. There can be no confusion over whether or not I am responding to or asking questions of you in that response. If you're honestly looking for discussion on your article - I'm here, or on your site or on mine. "There can be no confusion over whether or not I am responding to or asking questions of you in that response." I browsed some of your response earlier, which informed my previous statement. Misattribution is not the only kind of response that would require undue clarification on my part. I have spent too much of my fleeting life explaining what I mean in contexts where I thought it would otherwise be clear. Perhaps that is my failure to communicate properly, but I also find that many people cannot follow a discussion properly and so cannot offer salient criticism (or praise). I noticed as well that you missed some of my clarifications which were available to before you commented. i stated above, "It's a losing battle over the word "Catholic." I do understand that words are shaped by the way they are used." I would concur with Matthew that you appear to have some difficulties with context. I don't mean to be offensive... I do appreciate your zeal for your beliefs and willingness to explain and defend them. You claimed that bishops do not participate in apologetics - I provided examples of two of them who quite publicly do or have (Abp. Sheen is no longer with us, but Bp. Barron is). I hope that you will at least look at the links to these two bishops and see that you are clearly wrong in your assessment. You also claimed "Organizational fealty is never primary in the NT’s exposition of authority and unity." I provided no less than 11 passages from Scripture which state otherwise. There were so many points that you made unsupported assertions, and I was hoping you would clarify and present a valid case instead of invalid (undocumented) claims. I could go on, but I see now that would be an exercise in futility at this point. I do remain willing to engage you but I pursue this no further at this time. I do hope you'll reconsider, until you do - peace be with you. James, I did not miss your reference to the fact that "words are shaped by the way they are used," but even though you said this - you appear to reject the premise so I did not focus there but upon your rejection. I appreciate your recognition of my zeal, as I do your own. "You claimed that bishops do not participate in apologetics"
My statement was qualified by the sentences preceding it and those that followed. Virtually all the heavy lifting is done by lay scholars and (more often) lay apologists. Barron is the only one you can list who sometimes (rarely) engages in it, and, as you should well know if you follow him, even he has openly lamented the lack of engagement among the learned members of the clergy. You don't overturn an accurate generalization about the leaders of your denomination by claiming, "Well, there is ONE who still does, and another one USED to, so clearly you are MISPRESENTING Catholicism!" What a dull line of reasoning that ignores the direction of my objection in that paragraph and does not even prove what it claims to do! One out of thousands is not functionally different than zero out of thousands. Your blog response is a long series of fatuous errors like these, my patience for which is already exhausted. "it appears I have misjudged your character. I thought you would be willing to engage in further discourse due to the fact that you have misrepresented the truth here"
Frankly, I do not even know what this means. Is the assumption that I know it is a misrepresentation, so I should feel chastised when someone calls me out? Or that anyone of good "character" will respond to any claim of misrepresentation, as if all such claims were worthy of response? Will other responses you don't like be treated to nonsensical criticisms of my "character" as well? Scott: Target missed by your mis-focus. so, you Roman C. with centuries of added man made traditions, don't own the word, though you claim it. not exactly the same word as in Acts 9:31, but καθ 'ολης (two words)- throughout the whole (area) developed into the Katholikos concept. The RC Magisterium is nowhere in the NT. Cyprian and 86 other bishops in 258 AD prove that the early church knew nothing of a concept of a bishop of Rome who was bishop over all the other bishops. (against Stephen, bishop of Rome. The (7th) Council of Carthage of 258 AD) The EO agree with us on this point. I have never understood why RCs think John 6:53 and ff. is a powerful argument for Transubstantiation, when you read the whole context from John 6:26-68. verses 55 ("true", as in John 15:1), 63 (the words are "spirit and life") and 65 (parallel with verse 44), and 68 (words of eternal life) along with the flow of the whole argument from John 6:26 - show it is about trusting and taking/receiving Jesus as He is truly is (the living and true spiritual bread and spiritual drink that has come from heaven) - Jesus is using eating and drinking as metaphors for true belief. It is not even about the Lord's supper at all. The fact that when Jesus raises/ points to/ tears/ gives thanks, etc. for the bread and cup in Mark 14, Matthew 26; Luke 22, I Cor. 11, etc. - the historical fact that He is IN HIS incarnational body at that moment proves He does not mean "is" literally, but "represents" His body and blood that WILL BE given at the cross for atonement / redemption. Dr. White had a good DL on that - the main issue - that Rome teaches a false gospel. Eric Svensen, David King and William Webster are also clear on that. a1) As for lay apologists doing virtually all the heavy lifting... you said, "Why aren’t the bishops engaged in apologetics? Aren’t they the authoritative teachers within Catholicism? If so, why would I trust the exegetical, theological, and philosophical arguments put forth by lay Catholics who have no direct oversight or approval of bishops?" Your statement allowed for NO bishop to be doing any apologetics work - I presented two, one from the recent past and one who is still currently participating in the field- and there are others, but even ONE refutes your statement, I didn't see the need to name more than I did, unless you requested it - and you didn't. a2) Lay apologists often DO have the blessing and support of bishops! Many/most apologetics books receive a nihil obstat (nothing offensive) and an imprimatur which is essentially "permission to print." These typically come from the bishop! Nearly everything Catholic Answers posts online has both of these too, and most in their organization (all?) are lay apologists. a3) Could MORE bishops be MORE publicly involved in apologetics? SURE! I too would welcome that! You might be surprised as to how much apologetic work they actually do participate in within their own diocese which doesn't typically get the "press" that you would readily find. a4) Most of the Protestant apologists I/we deal with are lay apologists too! I'm not sure people in glass houses should be throwing too many stones! a5) As I said earlier, it is the responsibility of ALL of us, not just our bishops or other spiritual leaders, to "always be ready to give an answer for the hope that is within us." A statement from our first pope, also a bishop, St. Peter (1 Pet. 3:15). a6) So does "most of the heavy lifting" get done by lay apologists - you might be right in that statement - but as I said, it IS our responsibility too, not just the bishops, and there are far more of us than there are of them (bishops). a7) Quoting me first: "Well, there is ONE who still does, and another one USED to, so clearly you are MISPRESENTING Catholicism!" You then state: "What a dull line of reasoning that ignores the direction of my objection in that paragraph and does not even prove what it claims to do! One out of thousands is not functionally different than zero out of thousands." Again, my statement was not to say those were the ONLY ones out there, as there are many others - YOUR statement did not leave room for EVEN ONE, so I presented twice as many as needed to refute your erroneous assertion. You went on to say: "Your blog response is a long series of fatuous errors like these, my patience for which is already exhausted." Again, my statement was not in error. Do you want more? Ask, I'll present more, however if you're simply playing a numbers game here - I concede, you win, there are likely more lay apologists than bishop apologists out there. I don't know that there are any REAL STATS which you could PROVE that statement, but logically it follows that since a bishop is a shepherd over thousands or even tens of thousands of Catholics, the probability that they would be outnumbered by lay apologists should not be a shocker to anyone. a8) I have, in the past, openly stated - and I state here again now - if you believe *I* am misrepresenting Catholicism, say so. If I continue to do so, I openly invite you to write my bishop, Bishop Olmsted of the Diocese of Phoenix and inform him of such misrepresentations. If I reject his correction, I have no right to claim to be a Catholic, at least not a faithful one. I say this because one of your points was questioning whether or not lay apologists are accurately representing the Catholic Church. I am quite sure that I am, but I am always open to challenge and correction. b) Regarding my misjudging your character. Your article gave me the impression that you were being quite candid (I actually agree with many of your points!) and that I *thought* you would be willing and open to a discussion which might challenge some of your points where I disagreed. Your response was dismissive and disappointing. If you're having a change of tune, I would be quite happy to change mine too and withdraw my statement(s) of disappointment. "You must all follow the lead of the bishop, as Jesus Christ followed that of the Father; follow the presbytery as you would the Apostles; reverence the deacons as you would God's commandment. Let no one do anything touching the Church, apart from the bishop. Let that celebration of the Eucharist be considered valid which is held under the bishop or anyone to whom he has committed it. Where the bishop appears, there let the people be, just as where Jesus Christ is, there is the Catholic Church. It is not permitted without authorization from the bishop either to baptize or to hold an agape; but whatever he approves is also pleasing to God. Thus everything you do will be proof against danger and valid." (Letter to the Smyrnaeans). So, you could try to "capture" the term (good luck!) but again, you cannot REcapture that which you never possessed in the first place. Note, St. Ignatius, in perhaps THE FIRST use of the term "Catholic Church" does NOT believe the Catholic Church includes all denominations - but ONLY those in communion with the bishop. OK everybody, Scott has refuted everyone! Let's all go down to our local RCC and sign up for RCIA classes. James, You a funny guy! If I thought you were being serious, I'd offer to be your sponsor. OK, even if you're not being serious - the offer stands... maybe someday? There is nothing about submission to the area bishop in Ignatius, or submission to the bishop of Rome - even Cyprian and 86 other bishops knew that (bishop of Rome claiming to be bishop over all other bishops) was wrong. You don't have to apologize for taking a few days in responding or never getting back to it. We all understand that. It has been 500 years of disagreement and everything we discuss has been hashed out before. I think Matthew's point was more along the lines of given the big existential claims that the Roman Catholic Church makes about itself being the true church that Jesus founded and is an infallible and indefectible church; and the infallibility of the Pope doctrines -given those massive claims, it is weird to us that more of your own Cardinals, bishops, and Popes are not really very doctrinal or involved in apologetics or evangelism much. (or we just don't hear much from them) - most of what we hear is ecumenical and political stuff in the last 50 years - about war, poverty, unity, environment, capital punishment, birth-control, abortion (good that the RCC is solid on that issue, which we agree with) and Mary (giant statues and Popes bowing down to them and kissing the, etc..) Post Vatican 2 theology . . . Whenever a bishop or Cardinal is interviewed by the news, for example, you almost never see or hear anyone stand up for the Bible and truth like the way a John McArthur does (in those interviews with Larry King), etc. and defend the doctrinal truths of the gospel, Deity of Christ, necessity of repentance and faith to be saved from hell, etc. Usually a Roman Catholic bishop says some ecumenical dribble. It is usually lay Roman Catholics and former Protestants that do most of the real knitty gritty doctrinal stuff and is challenging to us. The political and ecumenical stuff is dismissed by us because it is not really the main issues that should be being talked about. Your big leaders seem to put unity as more important than truth. sw: Let us be clear on the precedent you appear to be holding us to. "The Catholic Church" - as a whole - is not infallible or indefectible. Popes are infallible only in rare statements. So "those claims" are not so "massive" as you seem to be imputing upon us. We believe the Holy Ghost has been with His One, True Church since He built it nearly 2000 years ago. When His Church declares and defines a Sacred Truth (dogma) we further believe that such a definition, since it is guided by the Holy Ghost, cannot be errant - thus infallible. That doesn't make everything said or taught by the Catholic Church to be infallible, only those things which we accept as dogma. The same holds true if the Pope defines dogma, which again is a very rare occurrence. 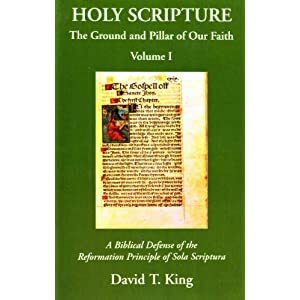 Now, put yourself in a position of drawing at least a semi-unbiased conclusion - if you know what we believe, you would EXPECT that there are some defined doctrines which MUST be inerrant and protected as such by the Holy Ghost. sw: If you know me at all, you know I'm no fan of what you referred to as "post Vatican II theology." sw: As for McArthur on the Larry King interviews, I appreciate seeing Christians stand up for truth - even if they only have part of The Truth. Fr. Jonathan Morris is also a FoxNews contributor and has not gone wishy-washy on some of the tough societal issues we're all facing. But Vatican 2 theology is the dominant theology of your most of your Popes and bishops and Cardinals, and maybe most priests since that time (1960s). The massive claims are claims of jurisdictional authority over every aspect of life - submit to the Pope and RC, or else. Vatican tried to soften that -and it seems like a real ontological difference. Vatican 2 tried to soften that -and it seems like a real ontological difference. "Encyclicals aren’t ex cathedra pronouncements. Encyclicals are the routine, day-to-day, consistent teaching of the Ordinary Magisterium, which is equally infallible when it concerns faith and morals and reiterates the constant, consistent, and universal teaching of the popes and bishops. Their content requires religious submission of mind and will of faithful Catholics around the world. So-called dissent from papal teaching in encyclicals isn’t part of Catholic belief. The Catholic faithful willfully conform to papal teaching and don’t dispute it." Fr. Jonathan Morris is also a FoxNews contributor and has not gone wishy-washy on some of the tough societal issues we're all facing. Every time I have seen him, he stands for the social moral issues like Pro-life and pro-family (good); but I never hear him mention Biblical and gospel truths like the way an Evangelical does. Everything is pointed to "the church" and "the Pope" rather than to Christ, or truths from the Bible, the Scriptural truths. Wrestling around the terms of infallibility can be confusing. For example, the Ordinary Magisterium is NOT infallible (contrary to what you posted above) but the Ordinary Universal Magisterium IS infallible when it is defining a doctrine of the faith. An ecumenical council, such as Trent, is an example is an example of both. Not EVERYTHING at the Council of Trent is an infallible statement - ONLY when Trent defines dogma is it exercising the Ordinary Universal Magisterium. More here: The Ordinary Magisterium. We can be diverted into all sorts of side topics and debates here. The main point of ANY infallible statement is based in the promise the the Paraclete would be with His Church till the end of the age and we believe that when dogma/doctrine is "defined" by the Church (in council or by a pope) and/or when the bishops of the world are in universal agreement - the Holy Ghost, the Paraclete, protects the Church from teaching error. If the teaching is without error then the logical conclusion is that it is infallible. Remembering the 19 Hotshots from my hometown who answered their "Final Alarm" on this date, 5 years ago. Ken quoting from Catholicism for Dummies: Encyclicals are the routine, day-to-day, consistent teaching of the Ordinary Magisterium, which is equally infallible when it concerns faith and morals and reiterates the constant, consistent, and universal teaching of the popes and bishops. Their content requires religious submission of mind and will of faithful Catholics around the world. That which Frs. Trigilio and Brighenti are saying here (authors of Catholicism for Dummies and a couple non-lay Catholics doing some "heavy lifting") is not wrong, but a bit confusing. They are correct because they state the Ordinary Magisterium is infallible when it REITERATES the constant, consistent and universal teaching of the popes and bishops. In short, when they REPEAT something which has already been defined, it is (still) infallible. If a bishop comes up with something novel and/or contrary to that which is the constant, consistent and universal teaching of the Church, then it is NOT infallible. Regarding Unam Sanctum and leadership since Vatican II - I believe "they" are trying to build bridges of dialog rather than walls of dis- or mis-communication. Fundamentally, there is still the desire shared by our Lord in John 17:21 - that we be ONE and not divided into factions, schisms or denominations. but Unity should only be around doctrinal truth. John 17:17 - "Your Word is Truth" and Ephesians 4:1-6 is unity in the local church around the right doctrine - the unity of the Spirit means the unity of the doctrinal truths that the Holy Spirit gave "once for all" (Jude 3) to the church (the saints, true believers). So, since the Roman Catholic went away from the truth by adding all those man-made traditions, there can be no unity with that - especially, at the Council of Trent (1545-1563), the denial of justification by faith alone, apart from the merit and pre-conditions of good works; means a denial of the heart of the gospel, according to the whole book of Galatians and Romans, Ephesians, Colossians, John, Acts, 1 Peter, etc. And true faith always results in fruit and good works and change and growth - James 2:14-26; Ephesians 2:10. I am amazed that you so quickly deserted Him who called you by the grace of Christ for another gospel . . .
thinking that atheists (# 847) and Muslims ( # 841) can be saved without the gospel of Christ - without hearing the message (Romans 10:13-15) and without conscience repentance and faith - that is a real change from pre-Vatican 2 theology. Vatican 2 seems like a real change. The anathemas of Trent against Protestants were not changed by Vatican 2. Atheists would not be covered by CCC 847 or CCC 841 as these pertain to someone "who nevertheless seek God with a sincere heart" (CCC 847). CCC 841 is specifically talking about Muslims, and again those who are seeking God honestly. The concept of "through no fault of their own" actually goes back to Trent too. Those who, through no fault of their own, do not know the Gospel of Christ or his Church, but who nevertheless seek God with a sincere heart, and, moved by grace, try in their actions to do his will as they know it through the dictates of their conscience - those too may achieve eternal salvation." "Whoever has, more shall be given, but whoever does not have, even what he has shall be taken away from him"
whoever is truly seeking God (those that God is truly working in and drawing to Himself; ie, the elect, they will eventually get an evangelist or Bible to get the gospel; first through general revelation (creation, conscience), and gets revelation of God, will eventually get more revelation that brings them to saving faith in Christ. I wish to add here... I believe that directly including those who deny the divinity of Jesus Christ is a mistake which will be corrected. No catechism is, of itself, an infallible document - regardless of who put it out. If it denies that which the Church has always taught then we are obliged to reject it. I fully understand the desire of the post-conciliar Church to build bridges instead of walls, but I, for one, believe this is "a bridge too far." I believe we're actually more in agreement on this point than disagreement, so I will not belabor it. I believe that directly including those who deny the divinity of Jesus Christ is a mistake which will be corrected. If it denies that which the Church has always taught then we are obliged to reject it. I really appreciate those last comments. as you judged your own magisterium (the Cardinals and Popes and bishops and R. Catholic scholars who wrote the CCC, and has the official Imprimi Potest on it from Joseph Cardinal Ratzinger (who later became Pope Benedict XVI) . You are clear on the Deity of Christ, and can judge the CCC as wrong; but they are the official magisterium that is over you in authority. You have put yourself above them in private judgment. Muslims and others who have never heard deny the Divinity of Christ, so you judged the document wrong and said that it will be corrected in the future. Well, that proves that the whole "living voice" / infallibility principle right now does no good, for it has already been 24 years since the time it was printed. (1994 is the copyright date) - since the Vatican 2 is has been 50 + years. Indeed; you are more Protestant in that you are using your private judgement to disagree with your authoritative document. Don't you see how vacuous the claims of your church are to us? >> of Jesus Christ is a mistake which will be corrected. >> are obliged to reject it. > KT: Very good, Scott. > I really appreciate those last comments. SW: Well, there are many things which are clearly defined as dogma, so to say we "never know" would not be accurate. There are some teachings which some hold as dogmatic while others question that - but those typically have not been expressed using the formula which leaves no doubt - so there is debate, even amongst faithful Catholics on some topics. SW: I am a Catholic believer in the Deity of Christ. As I said earlier though, the CCC is not an infallible document - and no catechism is. > (who later became Pope Benedict XVI) . SW: An imprimatur or imprimi potest is basically just "permission to print." It's not quite what most Protestants (and even many Catholics) think it is. It is not a statement declaring the document is free of error. > in authority. You have put yourself above them in private judgment. SW: As I have said before, if ANY document or teaching comes forth which denies that which was previously taught by the Universal Magisterium (the "General Magisterium" is different) then we are obliged to reject it. Being a Catholic does not equivocate to mind-numbed robots. > corrected in the future. SW: Well, there you get into a realm of debate when you say, "who have never heard..." Scripture does tell us that those who have never heard are "better off" than those who have heard and rejected the truth. (2 Pet. 2:21; Matt. 10:14-15). So the "through no fault of their own..." argument carries some weight. Now those Muslims who have been shown the truth, or worse - a Christian who has become a Muslim, I do not hold out hope for them. > the Vatican 2 is has been 50 + years. SW: I am not really familiar with that principle. >> than disagreement, so I will not belabor it. > private judgement to disagree with your authoritative document. SW: I do not protest against the true and valid authority of the Church. The CCC is actually pretty good in many/most places. In and of itself, the CCC is not an authority. It presents authoritative teachings and statements, it explains Catholic teachings, etc., not every explanation is a presentation of authority. > KT: Don't you see how vacuous the claims of your church are to us? SW: I see how vacuous your interpretation of our claims are... does that make sense to you? Makes no sense, given the claims of your church & claims of dogma. Roman Catholicism is imploding on itself.